Many things contribute to the proper operation of a dryer in a home of office. The most critical aspect of drying time is the venting itself. A typical 12 pound load of laundry can weigh as much as 20 pounds when it is first loaded into the dryer. The extra 8 pounds that vanishes in the dryer is all water. The dryer removes this water by heating up the clothes and creating humidity which is why in the winter months you can see steam coming from the exit point. If the air can not be adequately vented, poor drying will be the result. 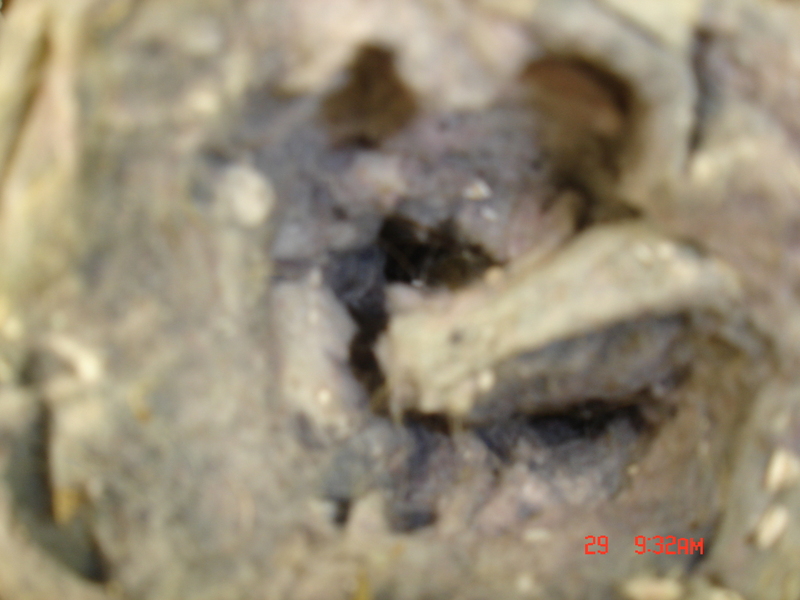 Over time the venting will get clogged with dryer lint that makes it past the lint trap. This will slowly clog your dryer vent making it important to clean on a regular basis to help efficiency and prevent a fire. 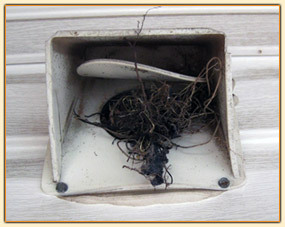 Duct and vent cleaning should come across every home owners mind during some point of their home ownership. Recently, Amistee Air Duct Cleaning in Allen Park Michigan was cleaning air ducts at a 40 year old home in Allen Park Michigan and found that the return air ducts were over 75% blocked. This is not an uncommon find for many homes that are over 30 years old. Over the years the heating and cooling system is pulling in air and depositing the contents into the air ducts. This particular home was full of original construction debris and a “carpet like” material which was actually pet hair and dander. The current homeowner was highly allergic to pets and wondering why she could not sleep at night. Since the cleaning took place our customer has contacted our Amistee Air Duct Cleaning office and commented that she has never slept so well. Go to the Amistee contact us page within the website to have an educated air duct cleaning specialist contact you and provide you with a free quote. As a consumer what should you really get when you are paying to have your air ducts cleaned? I am pretty sure that no one wants to get scammed and everyone wants to get a good value for their money. Over the years we have seen many companies come and go that offer far from superior service and leaving the homeowner with their hands up in the air thinking “how did this happen to me” Know that Amistee Air Duct Cleaning in Michigan does not only “follow” NADCA standards but we are a member of NADCA as well. Go to the “contact us page” within our website for our customer service reps to kindly contact you within 1 hour of our business hours. Here are a few tips to ask before hiring a company. 1.) 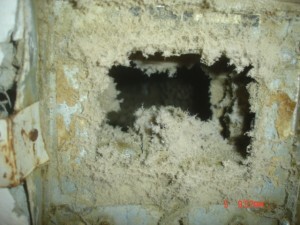 Is the duct cleaning contractor going to make access ports and doors to ensure the system is properly cleaned? Amistee does. 5.) Is the duct cleaner going to agitate your ductwork with a tool like an air whip or brush? The vacuum is not enough. There must be some sort of cleaning method that will dislodge the debris. Amistee will access every vent and piece of ductwork. 7.) Will the duct cleaning company follow all NADCA (National Air Duct Cleaners Association) standards? Amistee does and has won Safety Awards year after year. 8. What type of guarantee does the duct cleaner offer? Amistee has a true guarantee. Your happiness is our number one goal. 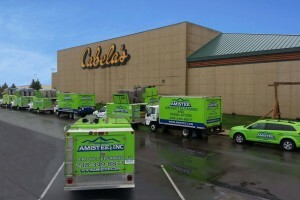 Call Amistee Air Duct Cleaning in Novi to clean your air ducts at 248-349-8877. 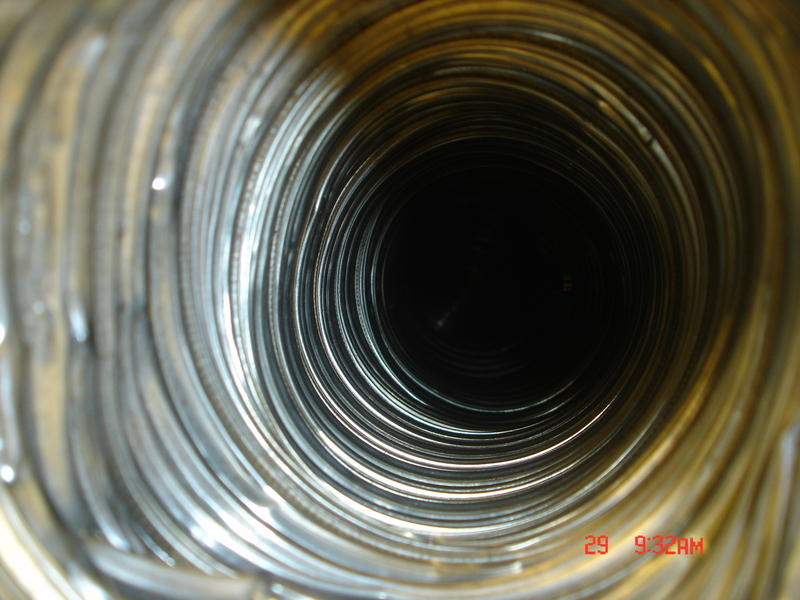 At Amistee Air Duct Cleaning, duct cleaning is the main vein of the business. This is why equipment is such a main focus for the company. Amistee will only clean residential homes with its giant power vacuum trucks that move anywhere between 15,000-17,000 CFM. This is 15,000-17,000 cubes of air moving every minute through your duct system pulling debris and dirt with it. When a vacuum truck pulls into your driveway a large suction hose will be ran from the truck to your furnace room (basement, crawlspace or attic). When our technicians make an access point in your ductwork and turn the vacuum truck on to clean your ductwork, the air starts getting pulled outside to our truck. Inside of your ductwork by the access point, it is moving so much air that it is similar to 200-250 mile an hour winds going through your ductwork. 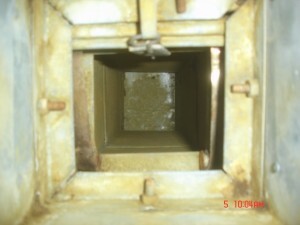 Many duct cleaning companies use a variety of equipment to perform a cleaning. Think logically, can a portable vacuum do the same as a large vacuum truck? Some competitors even mount portable equipment into the back of a van or cube van and call it truck mounted! Call Amistee Air Duct Cleaning today to get the quality you deserve and get your air duct cleaned in Allen Park MI and Metro Detroit the right way. We guarantee it. We are not happy until you are happy, I promise. No matter how much I clean, the dust always comes back! Does this sound familiar to you? Many people wonder how the household dust builds up or even gets there. Most of the household dust originates outside and comes in through windows and doors when opened. The other portion of the dust is from other conditions inside the home. These conditions include dirty ductwork, dirty carpets, pets, construction projects and many other factors. Indoor household dust is usually a hodgepodge of gross stuff. Dead skin cells, airborne particles, soil, dander and even toxic substances (lead, arsenic, and chemicals from furniture and carpet) top the list. It is always a good idea to clean your carpets on an annual basis using a reputable company. We have found that companies like Chets Carpet Cleaning in Madison Heights, Burg Enterprise in Macomb and Prestine Clean Carpet Cleaning in Royal Oak have offered great service for our customers. After cleaning your carpets it is always a good idea to evaluate your duct system and decide whether or not it should be cleaned. The National Air Duct Cleaners Association recommends cleaning your air ducts every 3-5 years. We have some customers that clean their ductwork in Michigan annually and others that wait more than 5 years. This all depends on you and your families health. For a free estimate to have your air ducts in Michigan cleaned call Amistee Air Duct Cleaning today at 877-349-8877. Its time to get rid of the unwanted household dust in your ductwork.